Aleksandir - Contrails. Vinyl LP. Bleep. Out on London label Church, Aleksandir releases a mini LP entitled ‘Contrails’. Dividing his time between Istanbul and London, the co-founder of Artesian Sounds finds time to experiment on this smooth collection of deep house and laid-back electronic works. 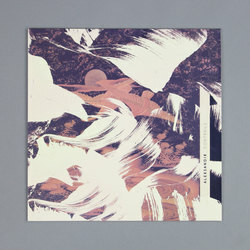 From the contemplative vibes that gently curve forth on ‘Before, After’ to the punchier summits of ‘Between Summers’, which offers a carefully orchestrated knot of climbing synth lines at its peak, Aleksandir provides an LP both downtempo and meditative whilst in the same breath sweet and entirely suitable for dancefloor consumption. With charming, idiosyncratic grooves scattered throughout, the house producer operates on a level similar to label mate Yadava.